A fitness trampoline designed with chic interior design in mind. This fitness Lounge trampoline was designed for stylish homes and for people wishing to combine sport and aesthetics. Lounge trampolines can withstand weights of up to 100 kg and are intended for adult gym lessons. 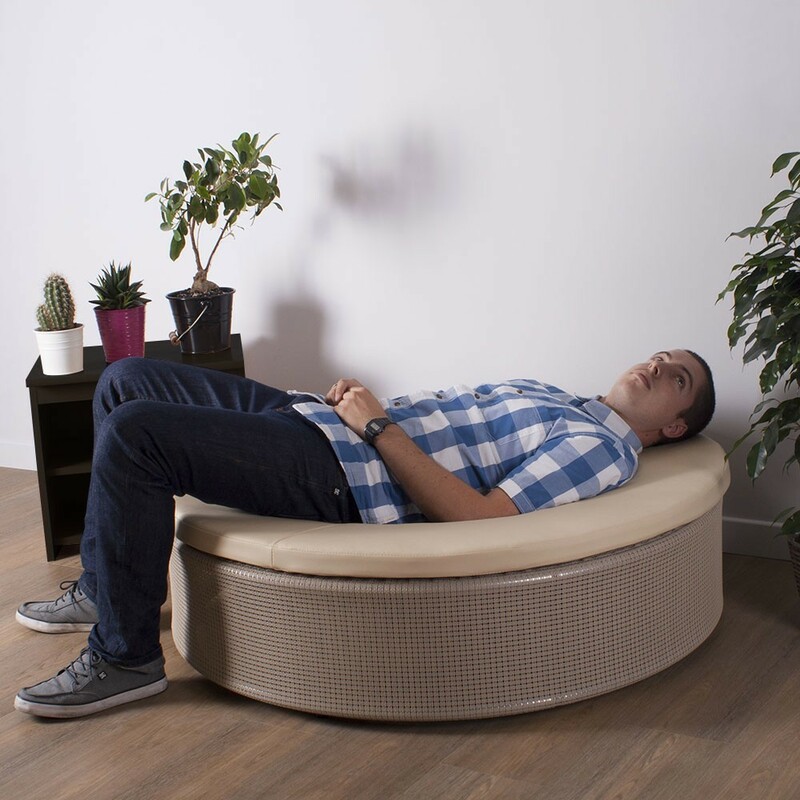 This trampoline can be used as a high-end sports trampoline or as a decorative accessory, a footstool or as occasional extra seating for your elegant sitting room. - This round trampoline has a robust steel frame that has been hot-dip galvanized, so it can be used inside, or in an outdoors covered area. 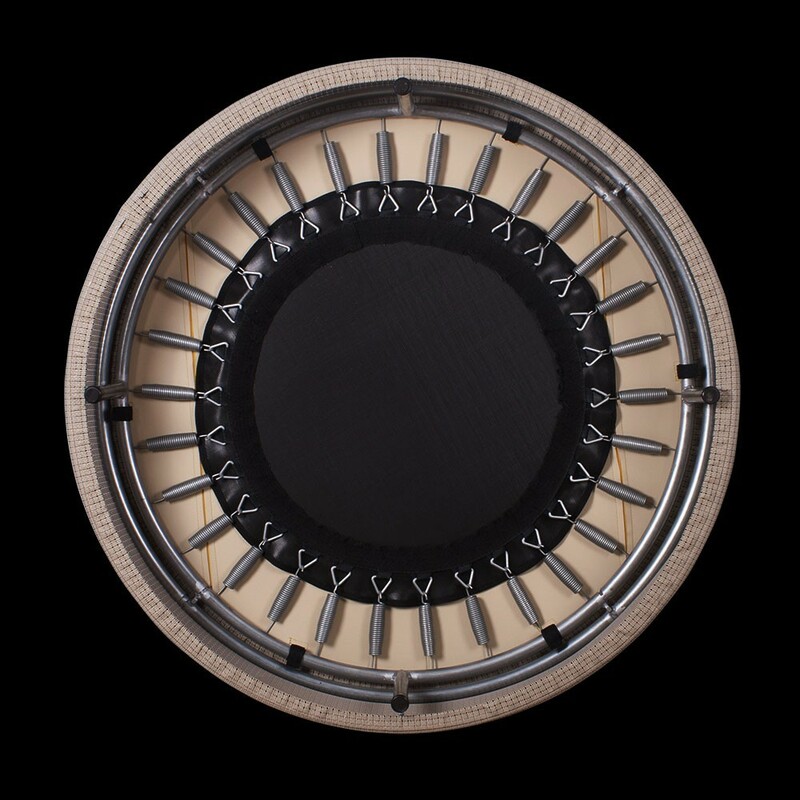 - It measures 1.10 m in diameter which makes it perfectly adapted to adults and children (accompanied by their parents). 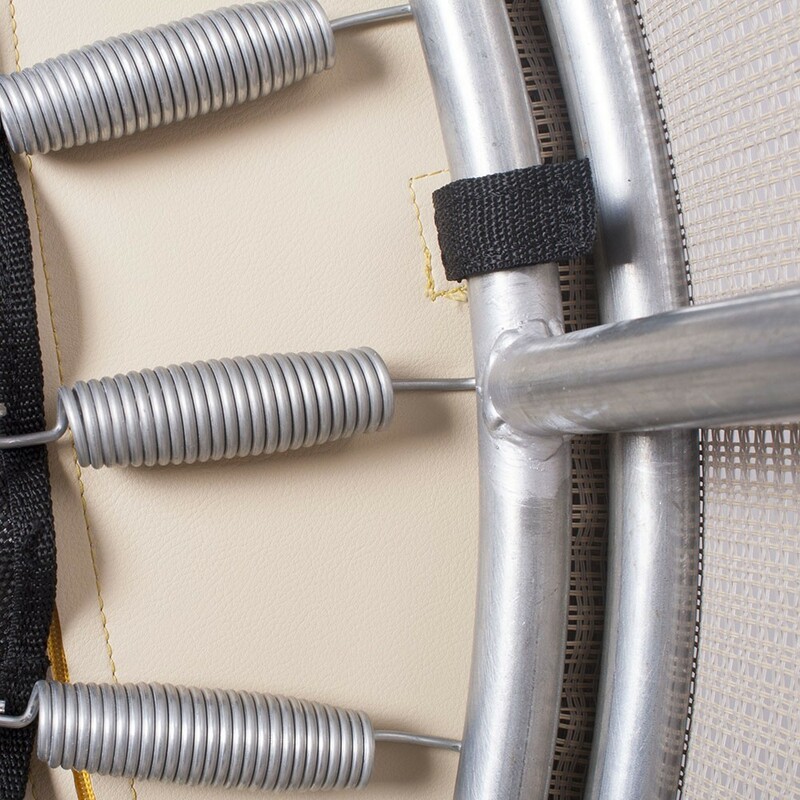 - The trampoline has 30 springs of 140 mm in length, which are galvanized, making it perfectly adapted to regular fitness activities for example. - The black jumping mat has 6 rows of stitches, making it very resistant. 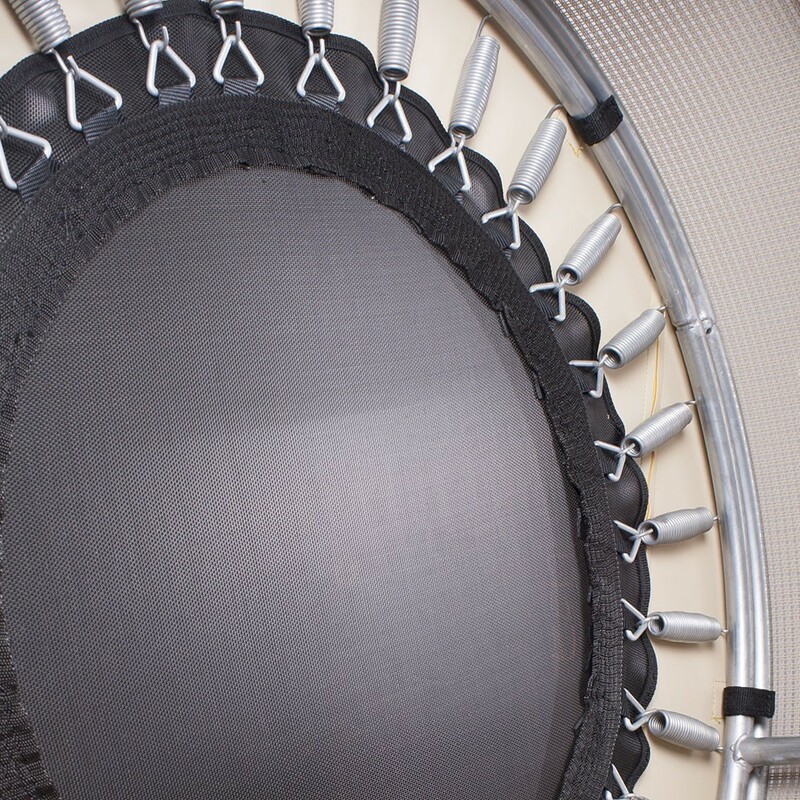 The strength of the jumping matpad is also guaranteed by triangular steel rings with a 5 mm thickness. You will be able to use your trampoline for years to come. 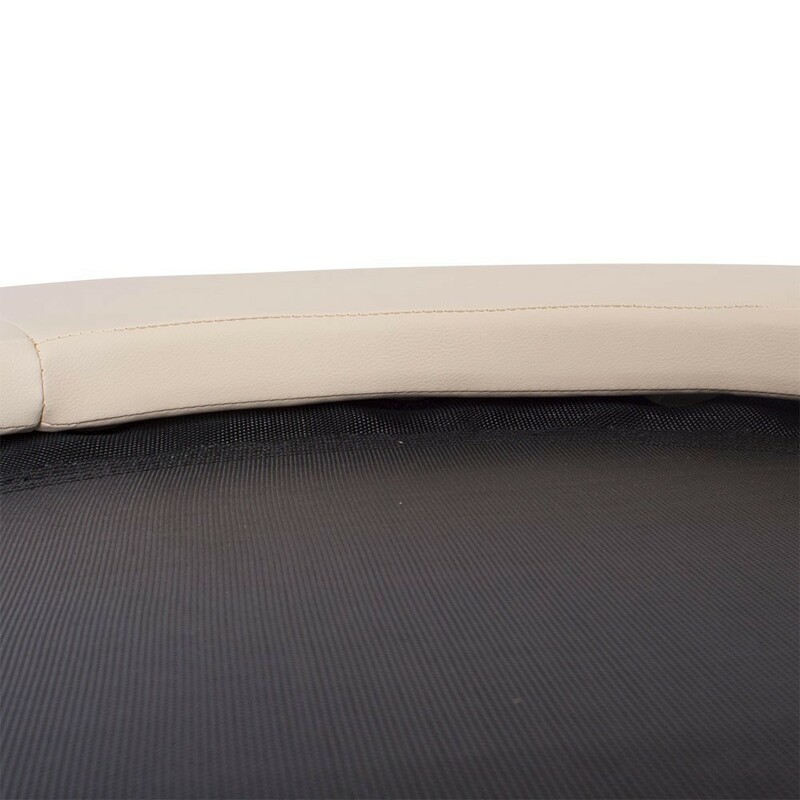 - To ensure maximum safety, the Lounge trampoline has a very thick frame pad which comes in several different colours. The finishings are elegant to ensure strong hold and a high-end look. 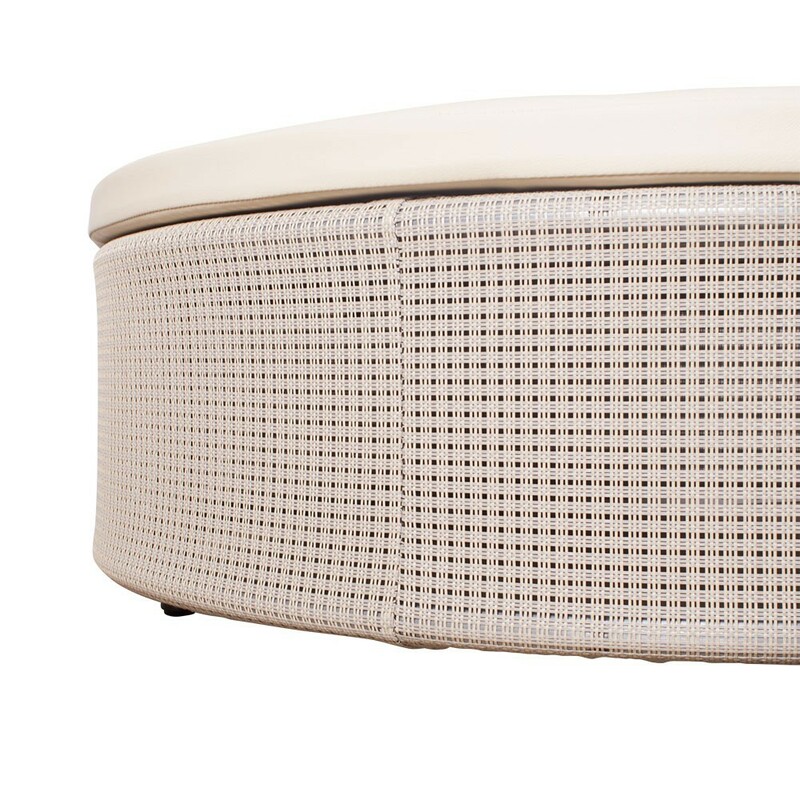 - It is available in 3 different colours: beige, grey or gold. - This trampoline can be used as occasional extra seating thanks to its tightly stretched jumping pad, which is comfortable and its fashionable synthetic leather frame pad. It will suit you interior design perfectly. 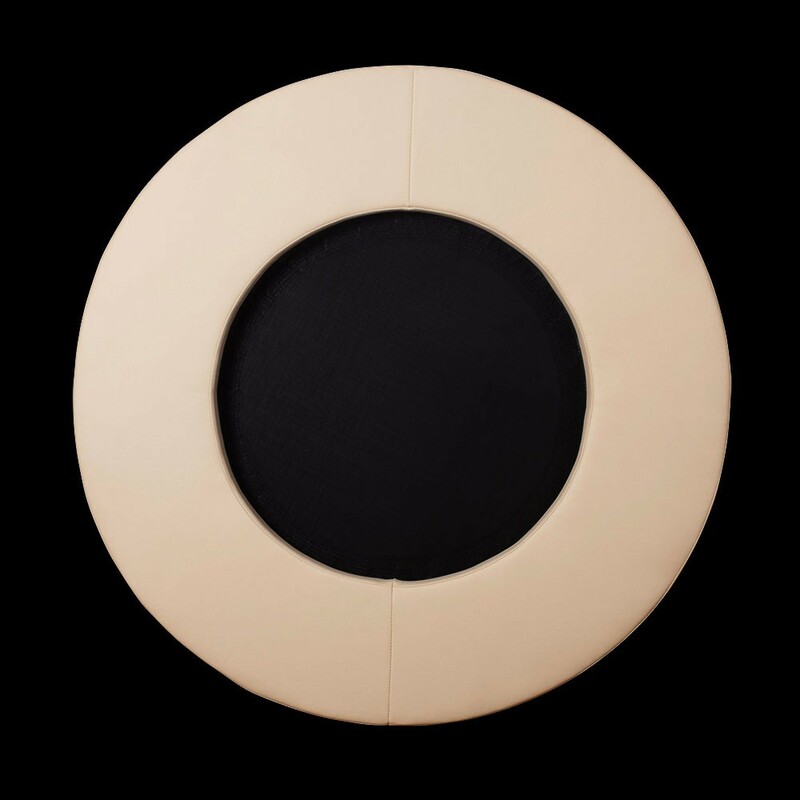 This exceptional product is very elegant and is an asset to your interior design. It will suit individual use as well as public use in hotels, health centres or bed and breakfasts.